It is a circle on the eyes. Often lazily drawn in that is fixed without reference to lighting. Totally detracts from any quality of the drawing. For some characters, it used for personality showing but generally it is just of no value. What I mean is something like this. Why do nearly all human-like characters have it in both eyes? Here is another terrible eye glow. The first example just this looks eye cancer. People are giving answer examples for when the animator gave a damn about drawing eye glow for a point whereas the question is more about the enormous of examples where the animators added an eye glow for no point- to really answer the question what is guiding junior animators e.g. is it that senior animators say you have to add eye glow. Maybe there are better guides to animation but this particular one doesn't eye glows at all. 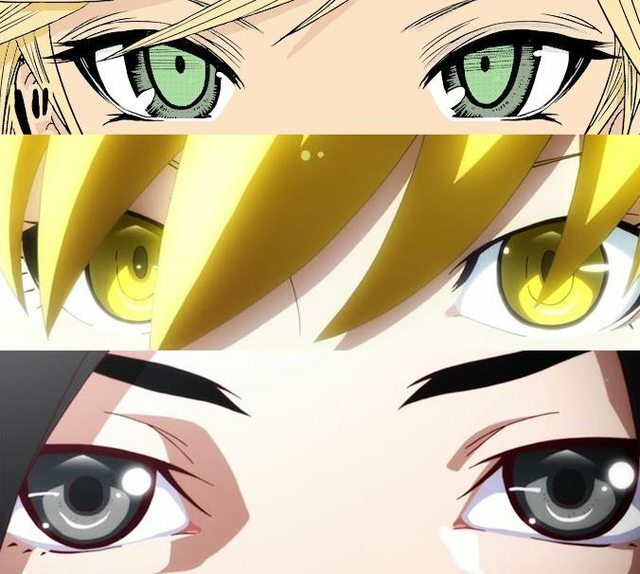 Depending on the series, the fact that these eye highlights appear can be exploited to add the effect of unhappiness, shock, horror, or any other emotion outside of "normal" for a stock character. The general trope for this is called Dull Eyes of Unhappiness, and has prevalence not just in anime, but in other media as well. 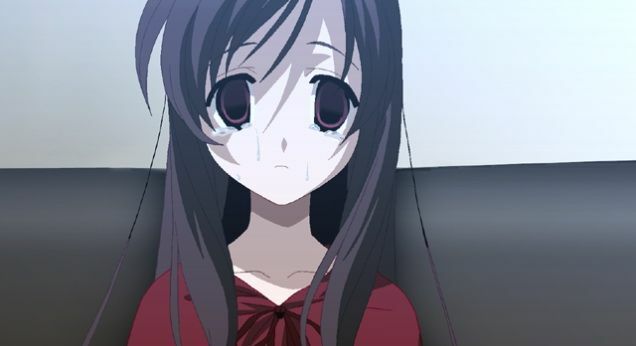 For a particularly jarring example, let's take Kotonoha from School Days. 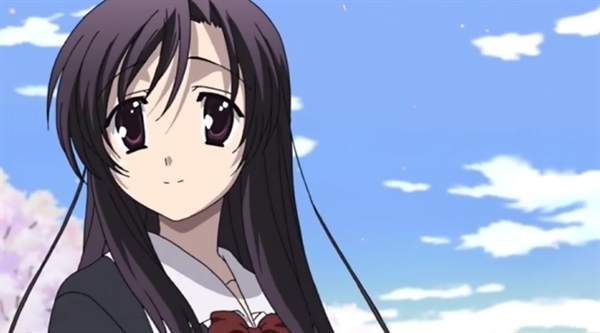 In this shot, Kotonoha is at a bare minimum in a "normal" state; she's happy and in general, relatively in her right mind. Almost immediately, even those of us who aren't familiar with this story, we can see that this character is acting or feeling outside of the norm, which is a strong plot-driving point. In other cases, it can be used for comedic effect. 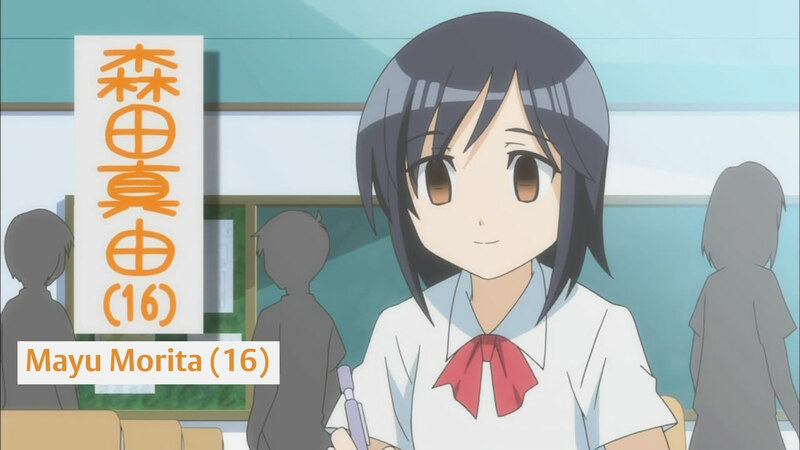 In the series Morita-san is Taciturn, the main character always has eyes like this. However, very much unlike any stock example of this trope, Morita is a very happy-go-lucky person, even with her eyes in this shade (and everyone else's without). In this scenario, we could even call this "normal", and if her eyes were to go suddenly include eye lights, we'd have a similar reaction. This doesn't even include scenarios in which the eye lights are exaggerated for a character that is crying, either. ...and with this example from Trigun, the overabundance of eye lights gives the illusion of frustration or anger. All of this to say that this effect very much has a purpose and very much has a place. In series that mandate it, the lack of it can (and often should) shift a person's perception about a scene or the state of a character, and is used for theatrical effect as well as a plot device. 1: I'll accept my Understatement of the Century award, thank you very much. 2: Oh, and the tears are a dead giveaway, too. Because when you look at a person, generally you will see the light from the environment reflected back from both eyes. Even in low light situations, photographs of people reflect the ambient light sources. It's there because the absence of the reflection looks more unnatural and flat than the "lazily" as you call it drawn in reflections. I would suggest that it would be prohibitively expensive for every frame of every face to be checked with every scene to accurately depict every strong light source. Why are Ringo-chan's cheeks always red? Why does Super Sonico always wear headphones? Why does Rin in blue exorcist have an eye bigger than the other when uncontrollable? Why always “skirt-flipping” fan-service's (mini-skirt blowing up. )?